Must-see hot events held in Tohoku for July, 2017 brought to you by MagicalTrip staff. We highlight the best events for anyone visiting Tohoku in June, 2017 and wondering what to do. Plan a trip around the various traditional events held in Tohoku in July, 2017. 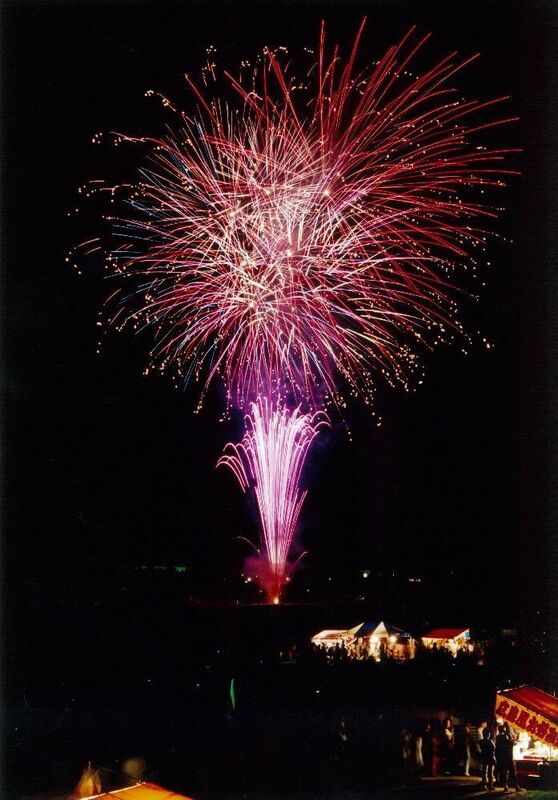 Tohoku Firework Festival is a historic festival deeply related with the local land. The festival is held at Yonezawa City, Yamagata Prefecture, famous for its Yonezawa-Beef, celebrating its 79th anniversary this year. Beautiful yet powerful fireworks fired 50 and 100 rounds consecutively paints the Yonezawa’s mid-Summer night sky making you forget the annoying temperature of the Summer. You have probably never seen such an impressive firework as the magnificent “20th round” filling the night sky as the finale of the festival. The highlight of the festival is definetely the Large Niagara Firework expressing Yonezawa’s Azuma Mountain. The firework itself uses 3 large crane cars and has the length of 200m and height of 20m. 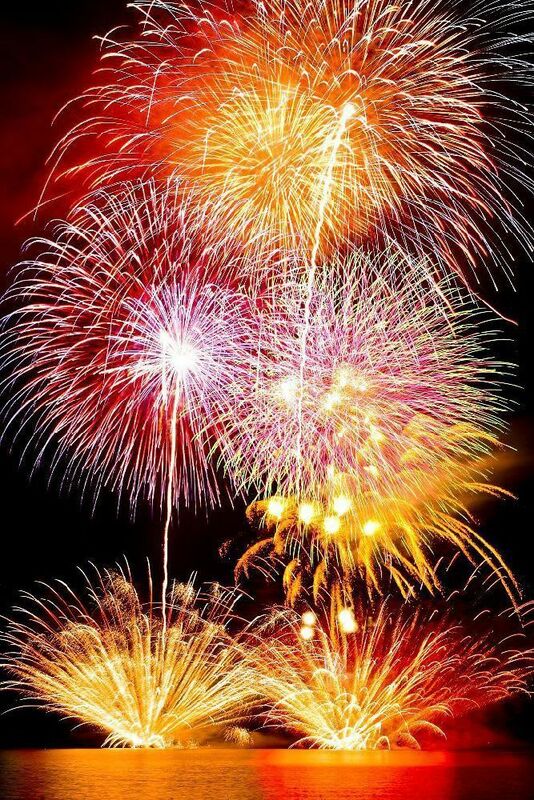 Since the venue is Matsukawa riverbed, you can enjoy the breathtakingly amazing firework festival in Japanese style by sitting by the riverbed. For free& don’t need to reserve. Every summer at Aizu Kogen Takatsuke ski field at altitude of 1,000m, Aizu Kogen Tateiwa Summer Firework Festival is held. Fireworks such as 3~10th round (Shaku-round), consecutive starmine, and niagara are fired from the grandeur slope into the night sky. Experience the impressive show of fireworks decorating the sky, echoing its blast amongst the mountains from the ski field’s, which is quite chilly despite being summer. Fireworks isn’t the only good thing about the festival. There are various programs for wide range of audience such as song performance and roshambo tournament held during the noon. This festival keeps you attracted night and day and will for sure become a memory you will never forget. The Lake Festival is also often called “Gosho Lake Festival”, and is held at Tsunagi hot-spring facing the Gosho Lake located West of Morioka-city. It is the first Summer Festival of Morioka. On the special stage on the lakeshore, local’s traditional performing art of Sansa Dance and Tsunagi Mikoshi, with the fantastic setting sun in the back, warms up the festival. Experience the fireworks fired from the Gosho Lake closing the festival up-close from the shore. The Sion statue which beautifully stands with fireworks in the back ground has become the Summer tradition and is loved by the locals. You must see the co-starring of beautiful fireworks’ sound and light reflecting on the surface of the lake. Fukushima Firework Festival held at Nobuoga Oka Greenery Area, the merging point of Abukuma River and Matu River, is one of the largest firework festivals held in Fukushima. Other than large fireworks of shaku-dama, starmines are also fired one after another astonishing its viewers. In addition, the crowd gets excited when the rare fireworks of fortune fireworks for “ward off bad luck” and “dream come true” are launched. The beautiful scenery of fireworks being launched from the merging point for the two rivers showing their reflections on the river is must see. Around 10,000 rounds of fireworks are launched in this festival celebrating its 39th anniversary this year. Get the full experience of Japanese Summer Festival by eating around the delicious foods served in the food carts around the venue while watching the fireworks. Shima-shiki Gyokou Park is a road station, a parking area along roads in which drivers can take a break inbetween the long trip. This is where “Japan on-the-sea Firework Festival”, a festival loved by the locals as Yurihonjo city’s Summer festival, is held. The fireworks are launched from Michigawa Fishing Port and Iwajo Island Bridge with the majestic Japan Sea as the background enhancing the beautiful and gorgeous harmony of light and sound of the fireworks. Within the 5,000 rounds of fireworks, you would be astounded by the impressive extra-large starmine along with on-the-sea fireworks. Not only are fireworks launched bottom-up, but they are also launched from sides taking you to a fantastic show only available here in Shima-shiki Gyokou Park. This festival is held at 21,000m¬2 wide Siberian iris garden of Japan’s special historical site “Taga Castle Remains”. Here, you can enjoy the sight of 3 million Siberian irises of 650 species along with hanashobu iris and rabbit-ear iris, depending on the season. The grand flower garden filling the sight awes its viewers. On Saturdays and Sundays during the event, events such as stage events and open-air tea ceremony and hands-on experience of flower pressing and paper cutting art keeps its visitors excited. In addition, the festival has exhibits explaining how to differentiate flower species and exhibits of flower arrangement showing various sides of Siberian iris making this festival worth visiting. “Gyo-Go on Gyosen (Go Fishing on Fishing Boat)” is a fishing experience program where participants go around Mutsu Bay on a fishing boat enjoying the local specialty of scallops and seasonal fishes. Before going out to the bay to experience “scallop aquaculture” and “piercing nets” or “cage fishing”, participants will learn about scallops at the Scallop Square. The taste of the fresh scallops on the boat is unparalleled. Feeding the seagulls called Gome by the locals is also an exclusive experience offered here. 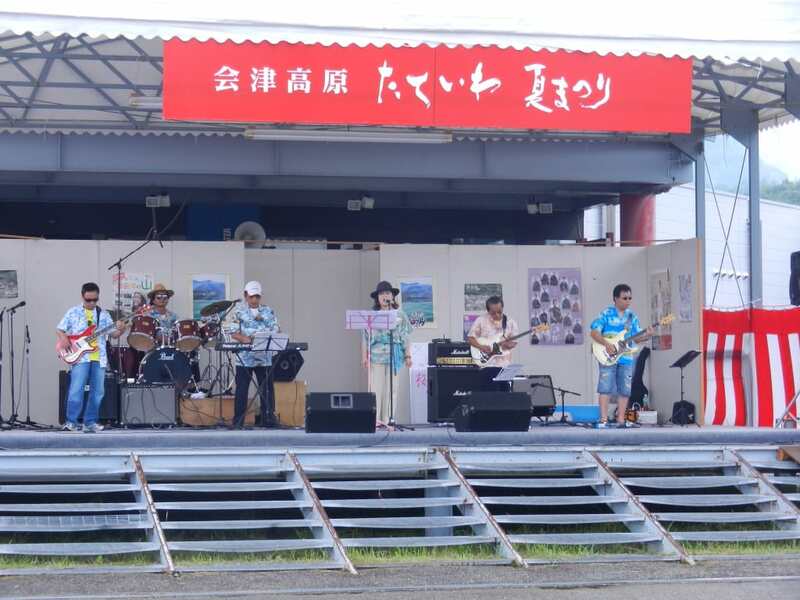 The Scallop Square, the venue of this event” is an facility that mainly sells the nutritional and delicious scallops harvested at Mutsu bay along with raw and processed seafoods caught in Aomori Prefecture. Even after the hand-on experience program is over, you can entertain yourself with the exhibits. Tickets needs to be purchased in advance. Kawauchi Sawada District is loved by the locals protecting the habitat of Genji Fireflies. Every year, from the end of June to beginning of July, Kawauchi Firefly Pageant is held where visitors watch three species of fireflies; Genji Firefly, Heike Firefly, and Hime Firefly fly. In the height of the season, fireflies dance emitting illumination-like gentle and fantastic light. During the season, food-stand area is built where you can enjoy various foods such as the local specialty of Kiku-imo udon, rice-balls, various mochis, and frankfurt sausage. Don’t miss the valuable chance of watching natural fireflies illuminating the area with their gentle lights. 200 yen per car & don’t need to reserve. Crave all the cherries you can with cherry picking and directly sold cherries at the Cherry Festival held at Jumonji Town, Yokote City. The event is not held at one venue but is held at orchards of each district. Jumonji District is a historical area of cherry harvesting dating back to beginning of Meiji era. You will be welcomed by the delicious ripe cherries once you arrive at the venue. During the season, other than cherry picking and direct selling, various events such as; seed skipping tournament, marathon tournament, haiku tournament, and shogi tournament will be held making it enjoyable for everyone ranging from children to adults.